It’s a powerful tool in direct marketing—and we have the equipment and knowledge to make it happen. 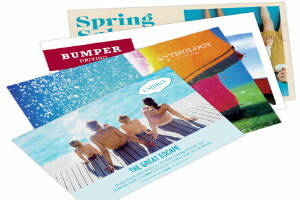 Let us design your postcard campaign, and we'll get you started with mail pieces that are sure to grab attention and drive response rates. In addition to design, we can also mail your campaign materials, leaving you free to worry about bigger things.